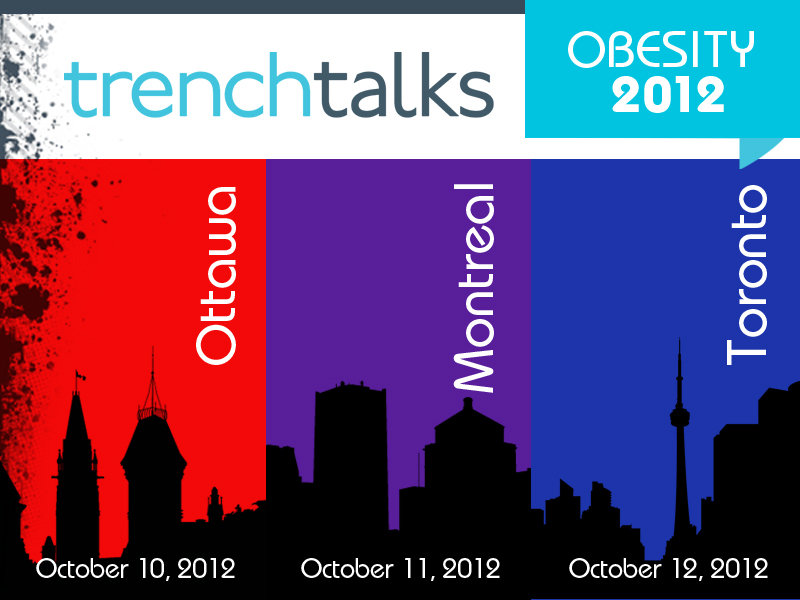 Weighty Matters: Last Chance To Join Me For trenchtalks Obesity 2012! 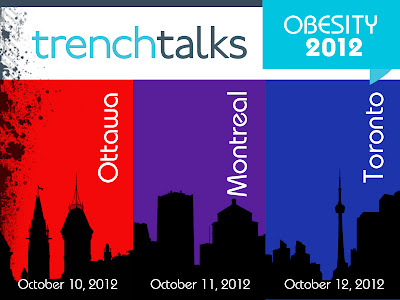 Last Chance To Join Me For trenchtalks Obesity 2012! Just a quick heads up for those of you who might still be mulling over coming out to see me and some friends at trenchtalks Obesity 2012. There are only 2 free STUDENT tickets left for Ottawa (enter STUDENT as the promo code), sadly none left in Toronto (still room in Montreal) - please bring your valid student ID to the talks. More importantly - the ticket office closes Sunday night as we need to provide the hotels with final numbers. University faculty interested in coming can email me via gmail (yonifreedhoff) from their University affiliated email account and I'll send back the discount code for a half price ticket. Registration for Ottawa (Wednesday October 10th) is here. Registration for Montreal (Thursday October 11th) is here. Registration for Toronto (Friday October 12th) is here.